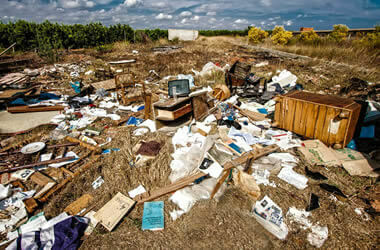 LC Waste Services are specialists in one-off site or factory clearances. No job is too large or too small and we are able to quote for any site clearance work. 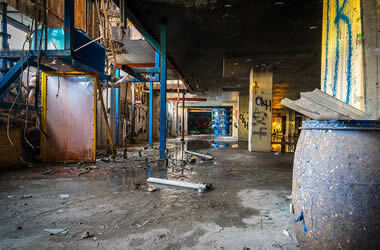 Our substantial team of labourers are available at very short notice to clear out factories, industrial units and any type of commercial premises so that you are able to re-let or re-use the building as quickly as possible. Every site clearance project is different and our highly skilled team has extensive experience in providing solutions to your particular requirements. All our staff carry CCDO cards and are fully trained in all aspects of safe and effective factory clearance. Call us on 0161 7369084 or request a site clearance quote online. LC Waste Services act quickly and efficiently to clear industrial premises as per instructions and remove all rubbish from the site leaving it clean, tidy and secure. 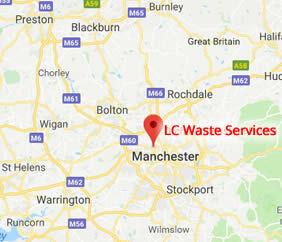 If you have an industrial or commercial property to clear in Manchester or in the Northwest UK and need a professional site clearance company, contact LC Waste Services today. Conveniently based in Manchester, we offer site clearances in Manchester, Salford, Bury, Wigan, Atherton, Leigh, Chorley, Preston, Oldham, Rochdale, Heywood, Stockport, across Lancashire, Cheshire and Greater Manchester. Call for more information on 0161 7369084 or request a Factory Clearance Quote online. We are independent waste recycling contractors in Manchester and aim to deliver the best possible customer service and value for you. From skip and container hire to bespoke waste management in Manchester we have the right services to meet your budget and requirements. We are a growing waste management company in Manchester that uses industry leading techniques and fully trained staff to ensure our customers meet their legal obligations to manage their waste responsibly.